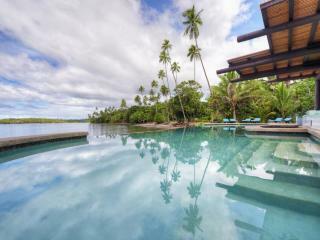 Just north of Fiji, on the unspoilt island of Vanua Levu, sits Koro Sun Resort. 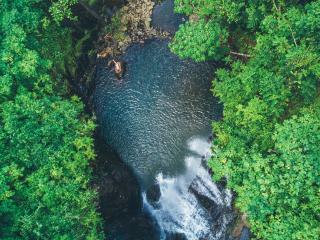 Located in Savusavu, a scenic 50 minute inter-island flight from Nadi, the resort is surrounded by its namesake the Koro Sea and is nestled amid beautiful tropical gardens and lush rainforest accompanied by sound of the nearby cascading waterfalls. 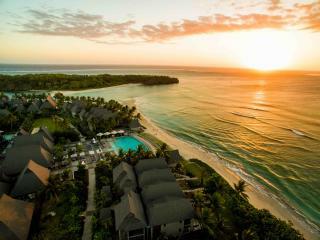 The resort offers contemporary and exclusive accommodation with a focus on privacy and luxury. 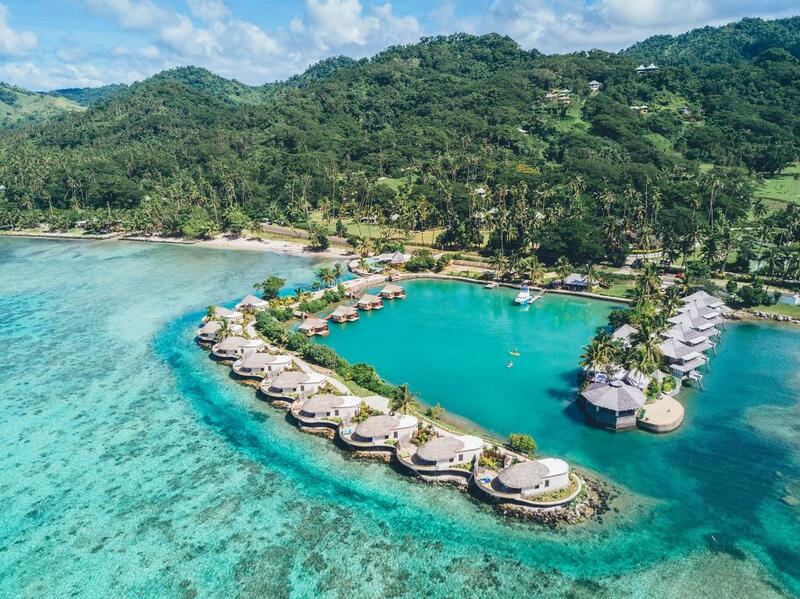 There are over 40 bures and villas at Koro Sun Resort and each enjoys breathtaking views of the landscaped gardens, glittering Pacific Ocean or colourful coral reefs. There are a variety of room types to choose from with most offering private plunge pools and sun decks from which to enjoy the view. The island oasis location of Koro Sun Resort lends itself perfectly to a range of island activities and water sports including snorkelling, scuba diving, sea kayaking as well as the onsite golf course, day spa and kids club. 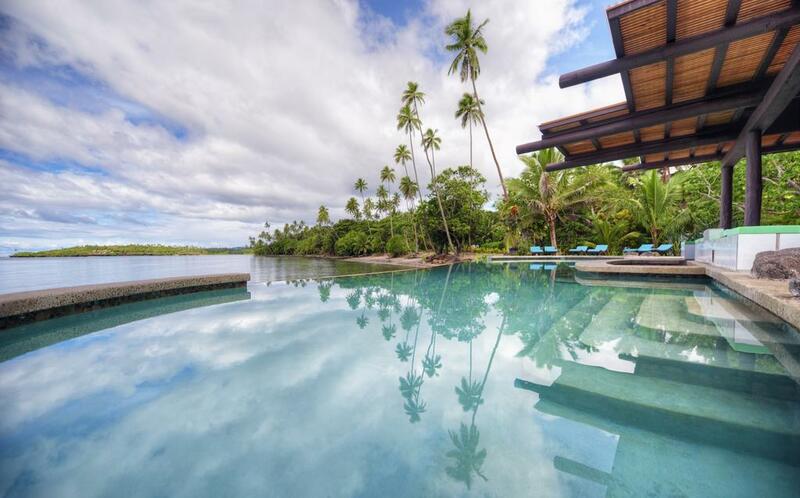 Whether you're up for some island adventure or prefer to relax by the pool with a cocktail in hand, Koro Sun Resort provides luxury resort accommodation for your next trip to Fiji. 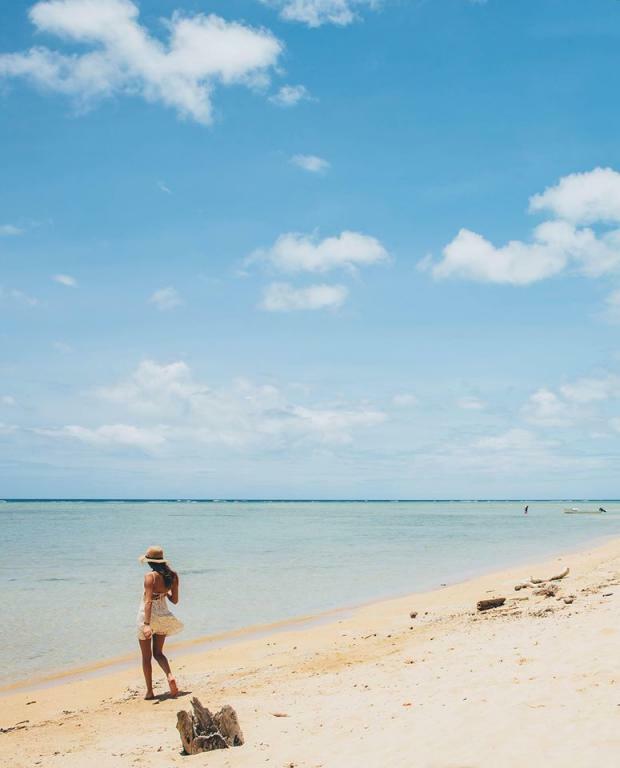 The Koro Sun Resort has beautifully decorated Fiji style bures & villas, offering wide views of either the tropical gardens, neighbouring golf course, oceans or reefs. 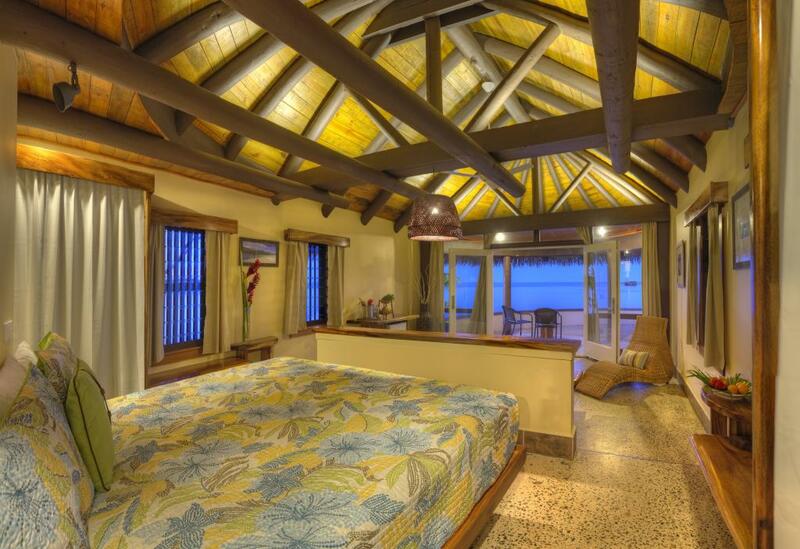 Most rooms do not have television or internet reception allowing guests to fully escape everyday life. 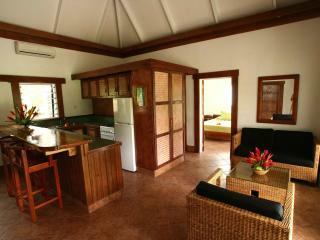 Garden Bure: Surrounded by lush tropical gardens located alongside the golf course. Bedding is 1 King Bed. Maximum room capacity is 2 Adults. 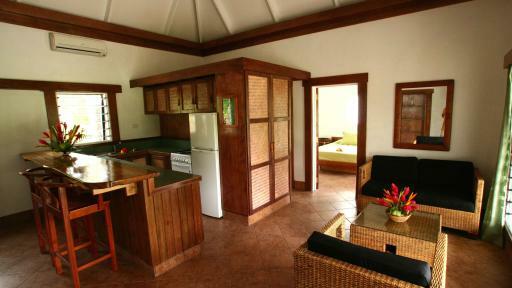 2 Bedroom Pool Bure: Featuring 2 Bedrooms and 1 bathroom as well as an outdoor stonewall shower, these bures are nestled amongst the rainforest and ideal for families or groups featuring a plunge pool, kitchenette and offer great views of the Koro Sun Golf Course. Bedding is 1 Queen Bed + 2 Single Beds OR 1 Queen Bed + 1 King Bed. Maximum room capacity is 4 Adults and Children. 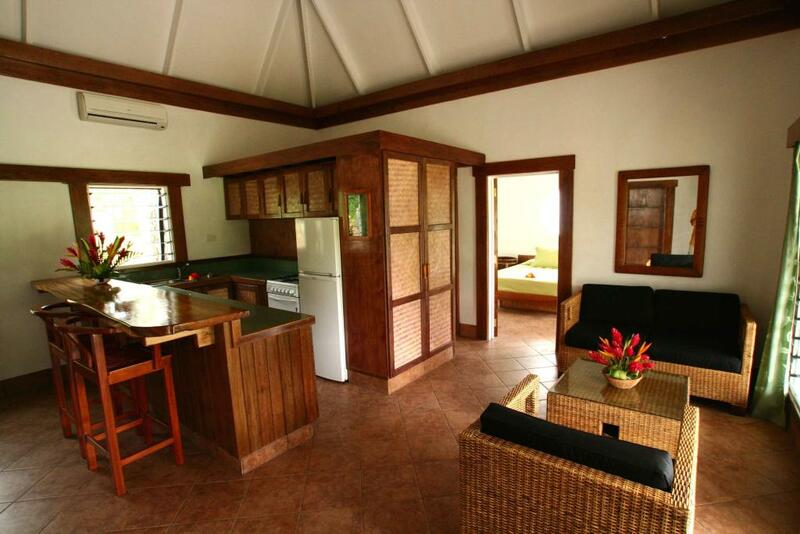 2 Bedroom Bure: Featuring 2 Bedrooms and 1 bathroom as well as an outdoor stonewall shower, this bure consists of 2 bedrooms and a private screened porch area with a day bed with views to the golf course and rgardens. Bedding is 2 King Beds and Twin Day Bed. Maximum room capacity is 5 Adults and Children. 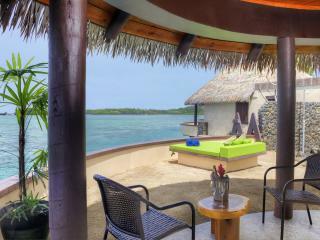 3 Bedroom Villa: Features 3 Bedrooms and 2 Bathrooms, half of the villa is located over the water. Located in the central part of the resort and offers almost 150 square metres of space. There is a rooftop deck that overlooks the stream, kitchen, TV and DVD player. Bedding is 1 King Bed and 2 Queen Beds. Maximum room capacity is 6 Adults & Children. Edgewater Villa: These 2 storey bures are 120 square metres in size with a master bedroom suite with rooftop deck overlooking the lagoon. The private courtyard features a plunge pool and sundeck. The over water living room features plush furnishings with glass port holes in the floor looking into the waters below. 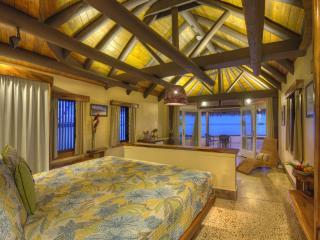 Each bure has a veranda leading to a private over water floating deck on the lagoon. Features a kitchenette and TV with DVD player. Bedding is 1 King Bed and 1 Queen Bed. Maximum room capacity is 4 Adults and Children. 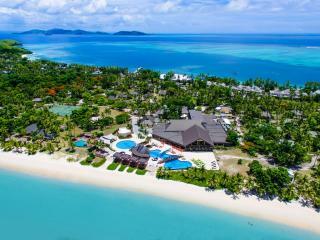 Edgewater Bure: Features an exclusive view of the Koro Sea. These romantic villas feature spacious bathrooms, romantic bedding, expansive views and are available for guests aged 16 years and older. 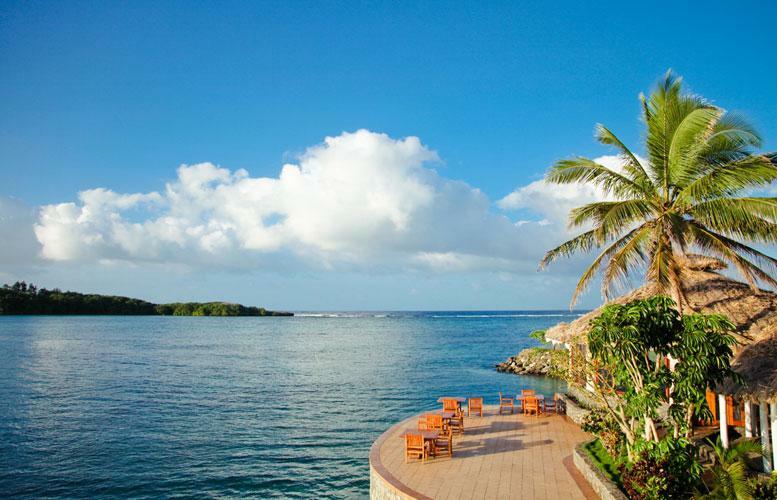 Features a ladder that leads directly into the blue lagoon and is the best choice for guests seeking a waterfront experience. Bedding is 1 King Bed. Maximum room capacity is 2 Adults. 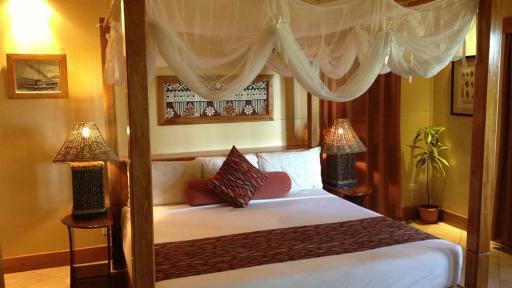 Edgewater Floating Bure: This room type offers a direct-on-the-water experience. 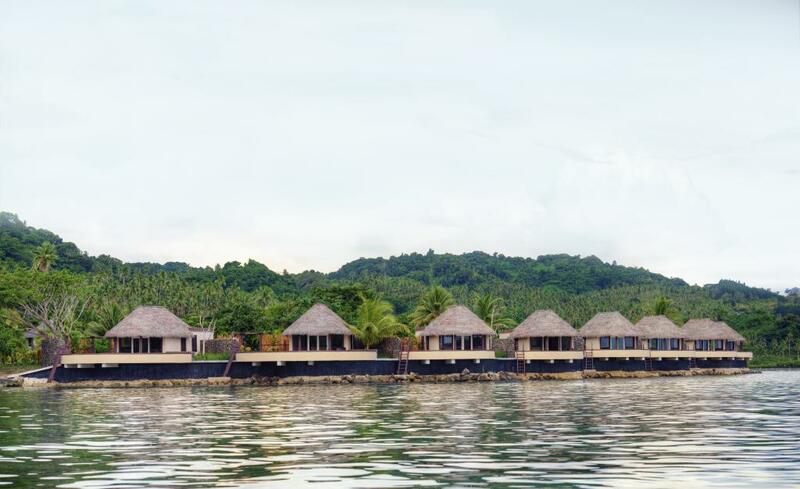 These adult only bures are 380 square feet in size, each floating within the protected marina of the resort, offering the perfect experience for those who love to snorkel and kayak right from the deck of their bure. 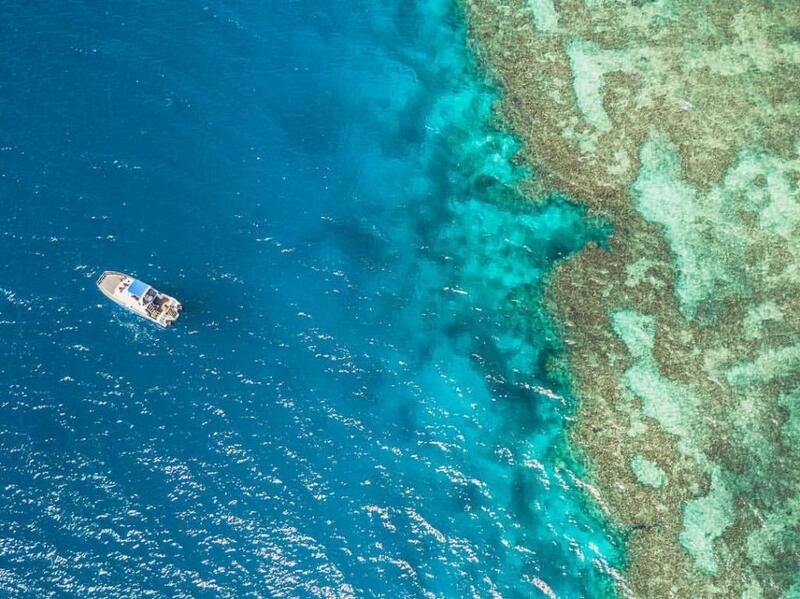 Each floating bure offers jetty access and a two person kayak is tied to the 120 square foot, private front deck. 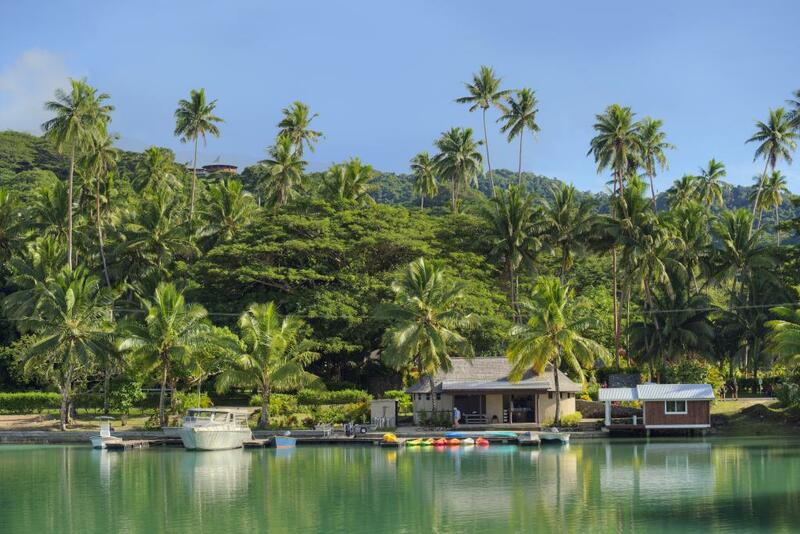 The bures offer a traditional Fijian style with touches of nautical decor, native "Dongo" wood accents as well as tropical thatched roofs. Bedding is 1 King Bed. Maximum room capacity is 2 Adults. Occupants must be over 16 years. 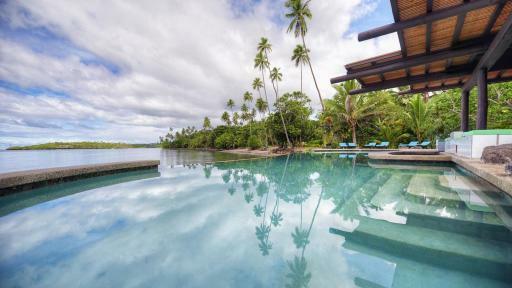 Edgewater Pool Bure: Features a plunge pool private courtyard and deck with direct ladder access to the lagoon. This room type is ideal for honeymooners. Bedding is 1 King Bed. Maximum room capacity is 2 Adults. Occupants must be over 16 years. 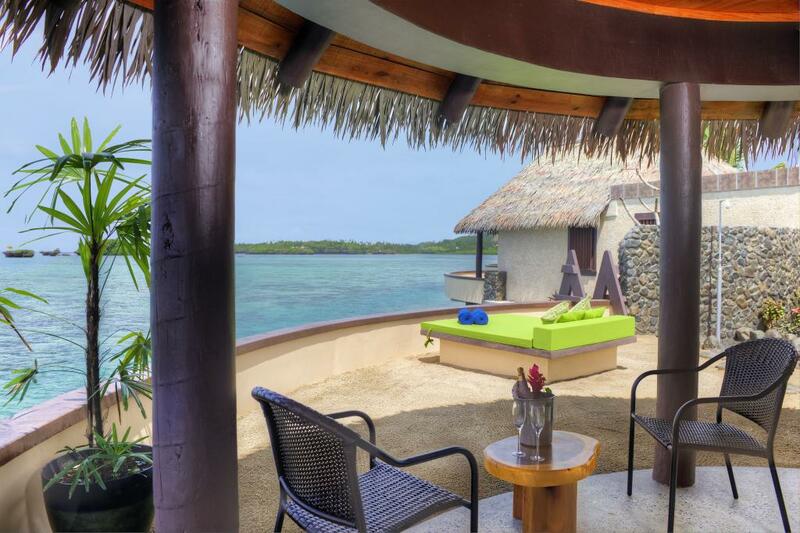 2 Bedroom Marina Bure: These rooms are ideal for families with 2 large bedrooms and 2 bathrooms, along with a private pool and small mini-kitchen that overlooks the lagoon. Bedding is 1 King Bed and 1 Queen Bed. Maximum room capacity is 4 Adults and Children. 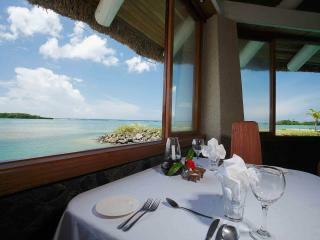 Palm Grove Restaurant: is Koro Sun Resort primary dining outlet and is located within the central clubhouse. Offering breakfast, lunch and dinner with dishes being prepared from the resorts organic gardens. 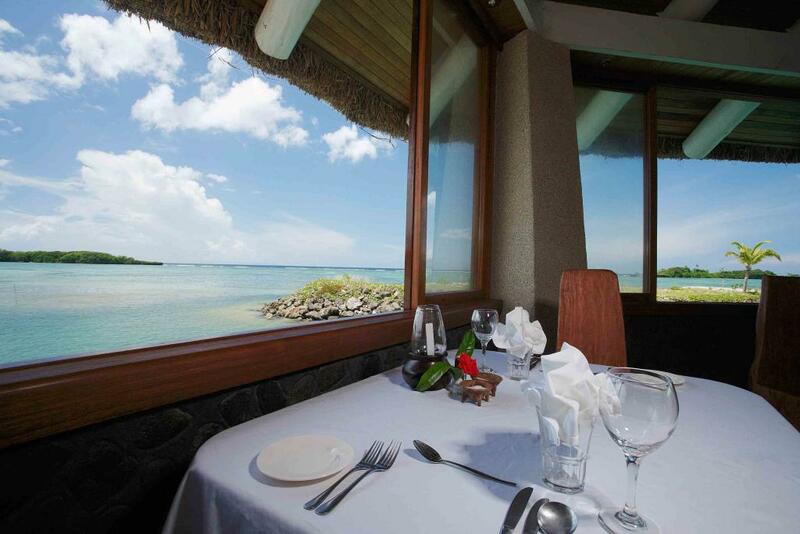 Latitude 17: is located on the resorts Edgewater Lagoon and provides the perfect setting for an intimate, romantic dining experience with spectacular ocean views and a tantalizing menu of Asian-Fusion cuisine. Guests will be spoilt with a selection of the freshest seafood and other mouth-watering gourmet delights. Latitude 17 is adults only from 7pm onwards. Levu Bar: Located within Matakau Restaurant serving great tropical cocktails, wine and beer. Latitude 17 Bar: Soak up the ocean vistas and enjoy Happy Hour. Wai Bar: This swim up poolside bar at the Edgewater Beach Club offers unique cocktails and a great place to chillax! 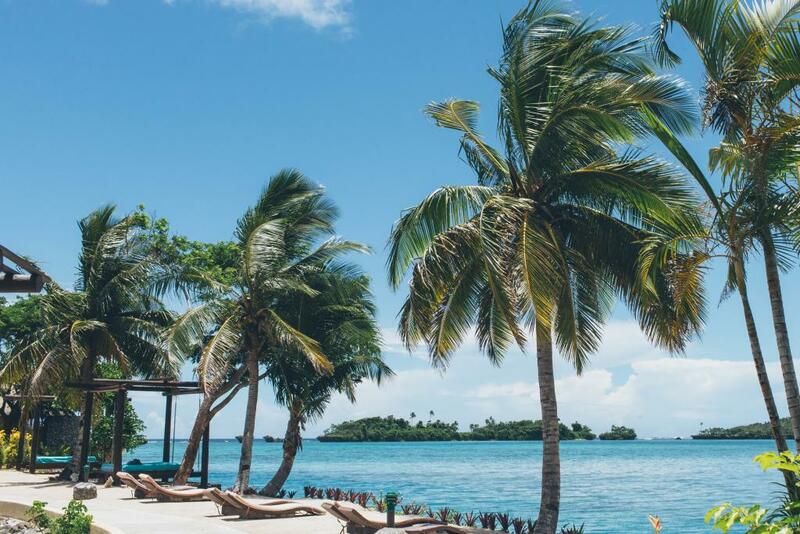 Edgewater Beach Club & Wai Bar: Guests over the age of 16 can enjoy the beach club and bar located on the water, featuring a sandy beach, large infinity pool and swim up bar. 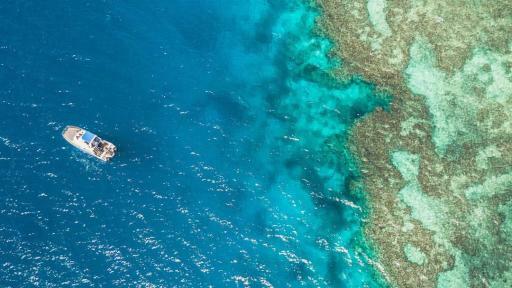 Koro Sun Resort boasts some of the most diverse dive sites in Fiji, all of which are just a 5-15 minute boat ride away. 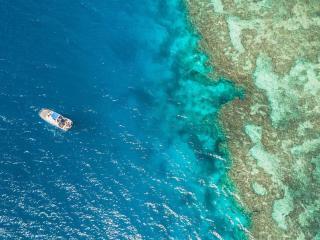 Some of the most popular sites include the famous Namena Island Marine Reserve as well as the stunning Rainbow Reef in the SomoSomo Straits, known as the soft coral capital of the world.With its own dive shop, Koro Sun Resort is also ideally located to enjoy, Pyramids and Purple Garden. Click on the Instant Quote icon for current dive pricing. Rainforest Spa: Set amidst the lush tropical rainforest, this is the perfect setting to relax and indulge in some pampering. 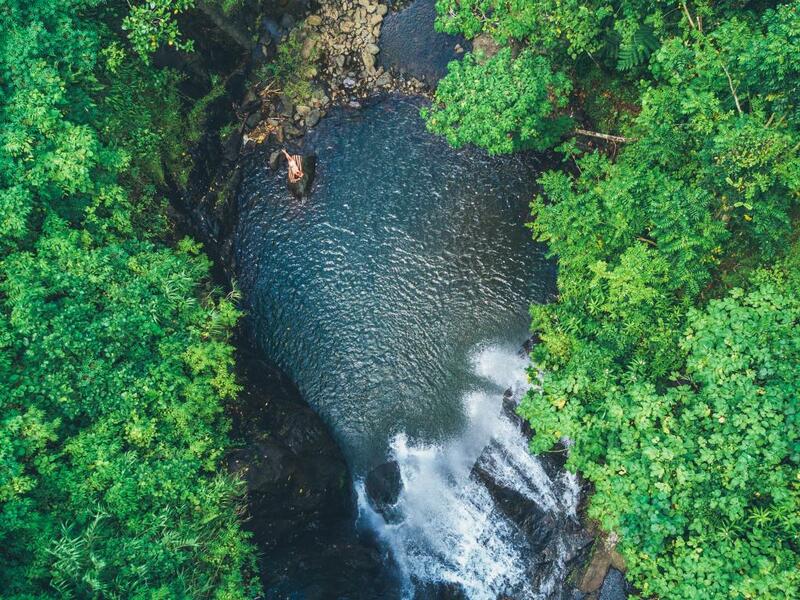 Splash out with a relaxing massage, a banana leaf body wrap or a rejuvenating facial and let the heady perfume of the tropical flowers and the soothing sounds of the running waterfalls transport you to world of peace and tranquillity. 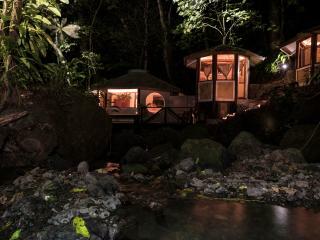 Spa After Dark: enjoy a unique spa treatment during the peace and quiet of the evening, when the rainforest comes to life with nocturnal wildlife and botanicals. It is the perfect way to end your day as lights illuminate the flora and fauna and the treatment bures glow of candles and lanterns. 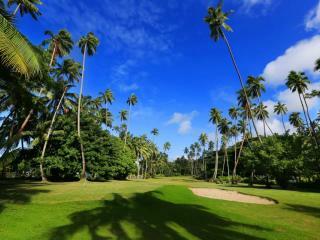 Koro Sun Golf Course: This picturesque 9-hole Golf Course boasts some of the best views and landscapes in the resort. 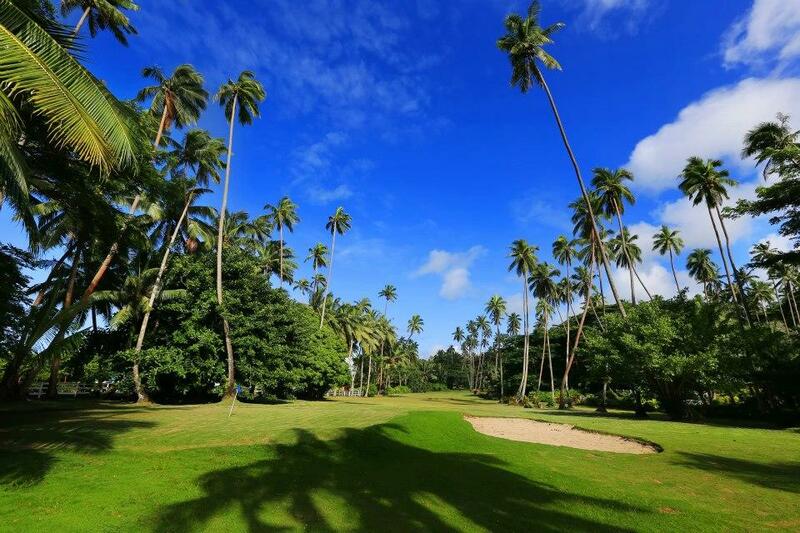 Whether you want to practise your swing, brush up on the basics or just give golfing a go, Koro Sun Resort's own resident pro can give you some tips. Koro Kids Club: Offers a FREE nanny service for infant children 0-3 years of age from the hours of 8am-4pm or 2pm-10pm daily. Children aged 4-12 years can participate in the Koro Kids Club program with a Bula Buddy. One Bula Buddy is provided for every 2-3 children offering a personalised service for families with both educational and recreation based activities. Open daily from 8am-4pm the kids club is a hive of fun and activity. 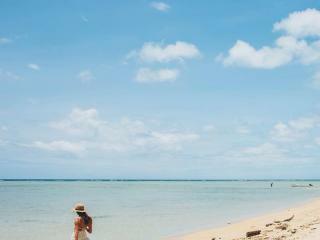 The qualified staff will entertain children with beach games, visits to a local school, a day trip to Bat Island, sand castle building, fishing lessons and much much more. The kids will also love learning traditional Fijian songs and dances which they can present to their parents on the last day of their stay. All non-motorised water sports and meals are also included. 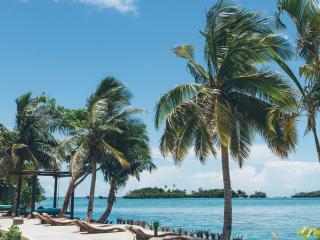 Koro Sun Resort is a popular choice for couples looking for an island wedding location or those looking to exchange vows on the resort grounds. It's no wonder, with romantic settings to compliment your wedding ceremony including overlooking the reefs and rainforest, on the beach at sunset, beside a cascading waterfall or under the majestic full moon of the South Pacific. 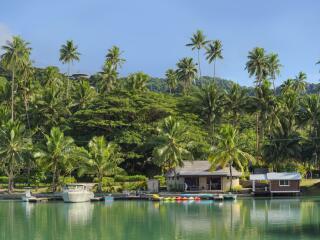 You can even be escorted across the sparkling lagoon on a bamboo raft by Fijian warriors if you wish. Koro Sun Resort provides a personalised ceremony in a stunning location that is sure to make your special day extra special. For pricing on wedding packages please click Instant Quote. 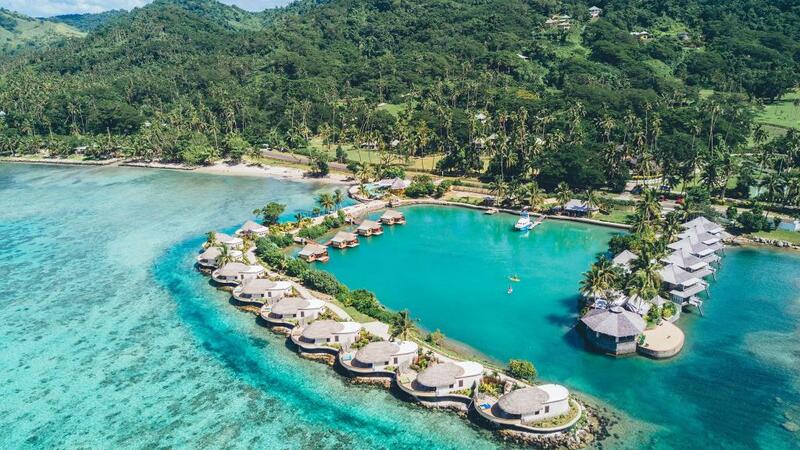 Fiji has two International Airports in Nadi and Nausori (near Suva) which provide scenic 30-45 minute flights by light aircraft to Savusavu, Vanua Levu Island with a short shuttle ride through the stunning coconut plantations and rainforest to Koro Sun Resort. Ratings are averaged based on 7 reviews. 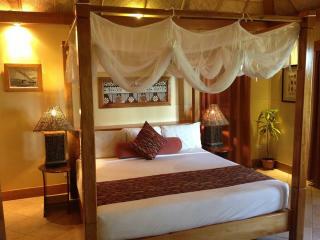 We just finished our honeymoon at Koro Sun and it was absolutely amazing! We couldn't fault anything...the service, food and staff were all incredible. Was the most relaxing time and you didn't have to lift a finger at all. 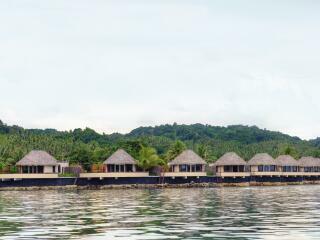 Great place to stay to access famous dive sites from Savu Savu with a professional dive operation. 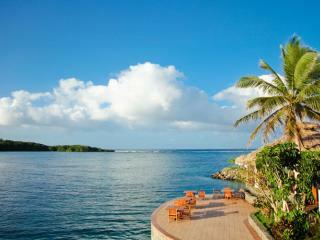 All inclusive stay (except drinks and some activities) is great as the resort is 15km from town. Meals are of a high standard and diverse selections. We really enjoyed our stay at Koro Sun. Our main priorities were a resort with two bedrooms and child care facilities for our 2 year old son. Koro Sun delivered on both of these, and the complimentary nanny for each child was absolutely fantastic - particularly since it was included in the all-inclusive price, and allowed my husband and I to really have a holiday!